Chinese is the third most widely-spoken language in the U.S., after English and Spanish. The new portal should also enhance environmental cooperation between the United States and China. EPA has a robust program of cooperation with several Chinese governmental bodies to address threats to human health and the environment, including initiatives on air pollution, water pollution, and management of hazardous waste and toxic substances. 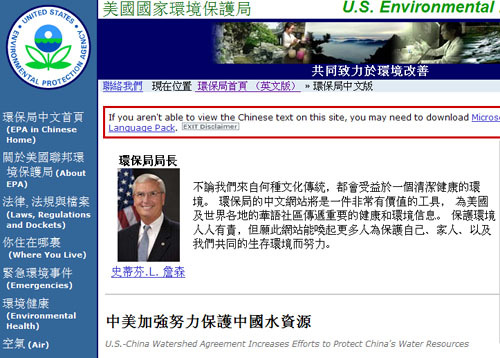 EPA also collaborates with China on research, policy development, and buildup of environmental enforcement capability.